Mailbox Happiness: Mail In-Mail Out-Mailbox Happiness All About! Mail In-Mail Out-Mailbox Happiness All About! to places far and near! 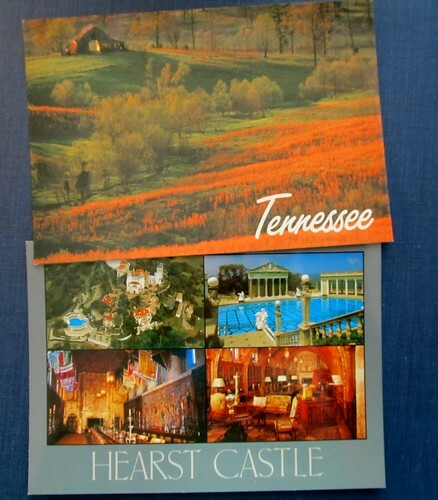 Hearst Castle and Tennessee Landscape Postcards headed to Japan and Indonesia. A cute card and note from Sarah in Texas who's also particpating in LetterMo! 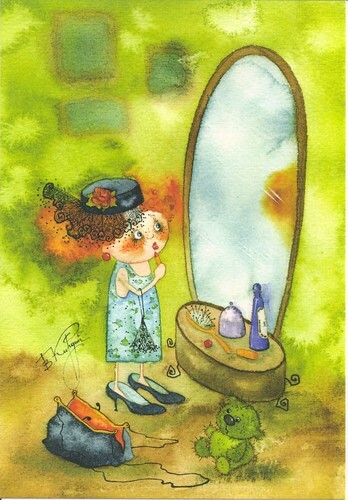 This cute Victoria Kirdy postcard arrived, I love the little girl playing dress up! Inge Look Old Grannies-They are so funny and always have a good time together! 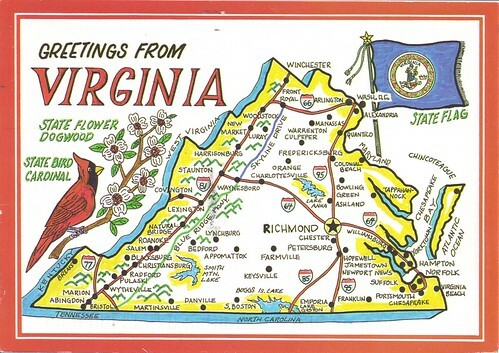 A great new Virginia mapcard, I hope to have one for all 50 states soon! Great mail! Did you also get that paper tape at Michaels? I love your envelope so much. 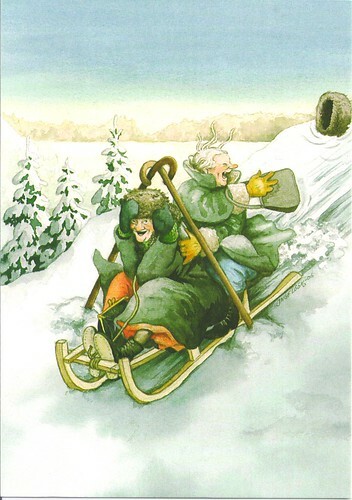 The postcard from Russia is adorable and those grannies are always cute. I like your outgoing postcards as well. 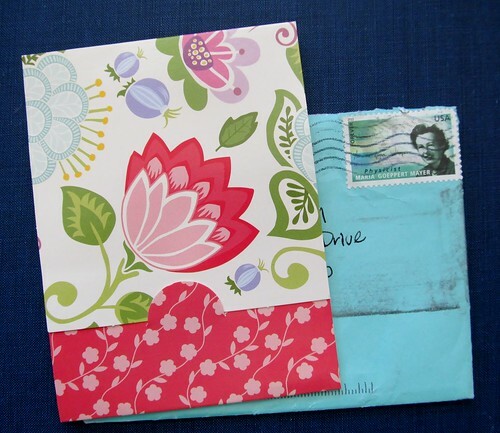 I love that first envelope! 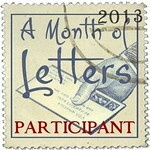 Good luck with Lettermo, I'm also a participant! 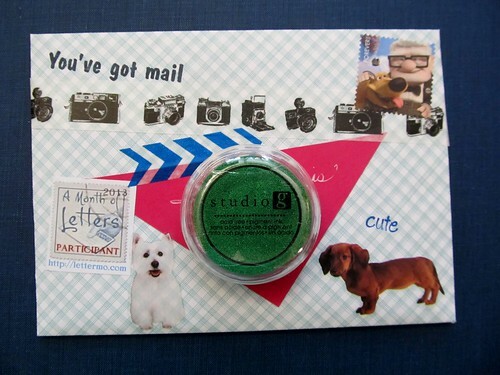 I love your mail art! The postcards you received are cute. the more comes back to you. Keep Calm & Shop Thrift Stores! Has Your Writing Changed During LetterMo? A Mailbox full of Happiness! Happy Valentine's Day & Mail of Course! It's Wednesday Already-How Are You? Writing the First Letter and Mail of Course! Now Departing and Arriving at Gate 2809! Are You Looking for Penpals? Special Delivery! What's in your mailbag?